My wife and our two children live on the property. My wife and I are professionals, she is a business administrator and I’m a Pianist and a Professor of Piano at the Conservatory of Ferrara. Our son and daughter, as well as managing the farm, are both University students. I inherited this property. 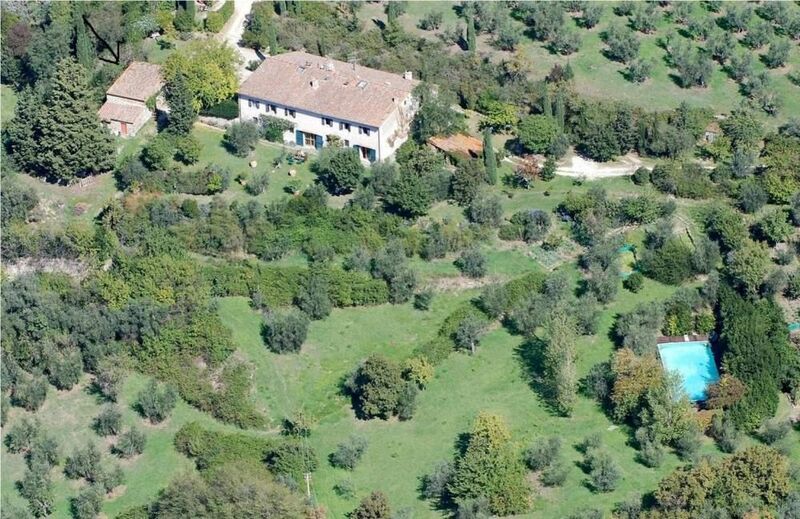 The vacation rentals help subsidize my son’s Agricultural firm 'Fattoria Il Leccio' that produces top quality olive oil. Peaceful country stay overlooking one of the most beautiful valleys in Tuscany and enjoying a refreshing swim in the pool after spending a morning or afternoon immersed in the beauty of the Renaissance that is found in Florence or other nearby towns like Siena, Pisa, Lucca and many more. As well as tasting one of the world’s top quality olive oils. Wir waren zu viert im Hayloft Appartement und es war super! Das Appartement wurde neu renoviert, die Zimmer waren groß genug, die sanitären Einrichtungen sehr sauber, eine Klimaanlage ist in den Schlafzimmern vorhanden. Der Pool ist in ca. 2 Gehminuten zu erreichen. Dieser ist groß genug um einige Bahnen zu schwimmen. Der Ausblick und die Ruhe in den Bergen inmitten der Olivenhain ist einfach nur wunderbar und man kann sich hier wirklich gut erholen. Andrea war ein wunderbarer Gastgeber. Er hat uns herzlich empfangen und uns alles gezeigt, ebenso konnten wir immer auf seine Hilfe und Unterstützung zählen! Logement très agréable dans la campagne toute proche de Florence. Aménagé avec goût, en très bon état et très bien équipé (clim, salle de bain et toilettes pour chaque chambre). A seulement 2 mns de voiture + 12mns de train du centre de Florence. De plus, accueil très sympa d'Andrea et de son fils Lorenzo. Discrets, ils sont toujours disponibles pour vous aider. Grande piscine, ou l'on peut vraiment nager. Peut-être moins bien adaptée pour les tout petits. We stayed at la Fattoria for a week in June. We had a wonderful stay - beautiful house and surroundings, great location and a very warm welcome from the Passigli family. Highly recommended for a family/friend holiday or a romantic break. Perfect place if you're looking for a chilled, relaxing holidays. Florence Galileo Galilei Airport, 30 minute drive from the house. By car: Autostrada A1, Via Faentina or Fiesole, Caldine, Fattoria Il Leccio. Fiesole Etruscan Museum and Roman Theater.